Drain pineapple chunks, reserving the juice. 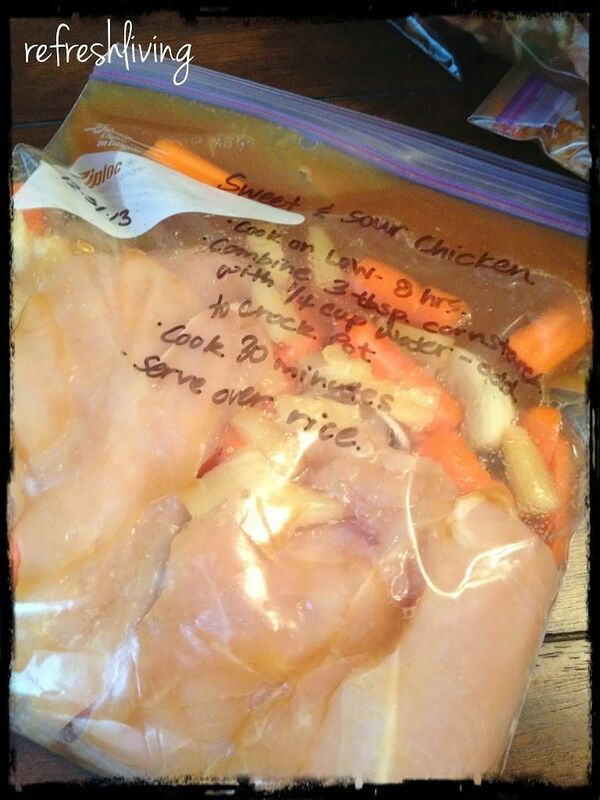 Place carrots, onions, pineapples and chicken in a ziplock bag. Combine pineapple juice, brown sugar, soy sauce, chicken bouillon, salt, ginger, and garlic powder. Pour mixture into the ziplock bag and freeze. Write on bag: Cook on low for 6 hours. Combine 3 tbsp. corn starch with 1/4 cup water and stir. Add to slow cooker. Cook 30 minutes until the sauce thickens. Serve over cooked rice.